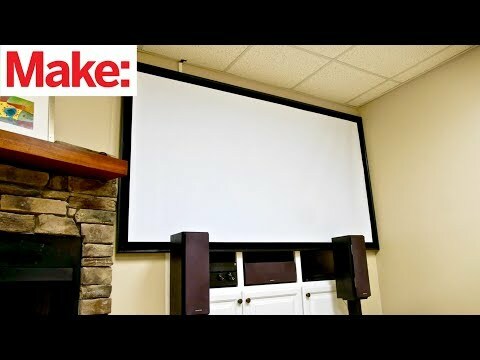 How do you make your own projector screen? Hi so some just use the wall and hang a bed sheet on the wall with a couple of sellotape strips. gorilla tape also does the job. Yes paint the wall with FLAT white paint. No special paint needed. Works great. There is a special kind of paint for the purpose. Otherwise, use a sheet, but don't expect it to render a high-resolution image. Hang a sheet on the wall. Paint a wall bright white. Is my dvd drive going bad or do I just keep getting a bad batch of recordable dvds ?